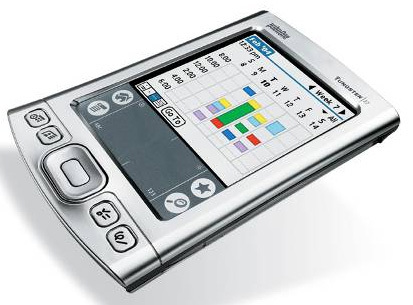 Information about coming models by palmOne has passed into the Internet. Thus such models as Palm Zire 73, Palm LiveDrive, Palm Tungsten T7, Palm Tungsten E2, Palm Tungsten C2 (reliable data mixed with rumors) are being discussed. Really, now two models are being awaited for and they are Palm Tungsten E2 and Palm LiveDrive. The two models will be announced on the 13 of April. 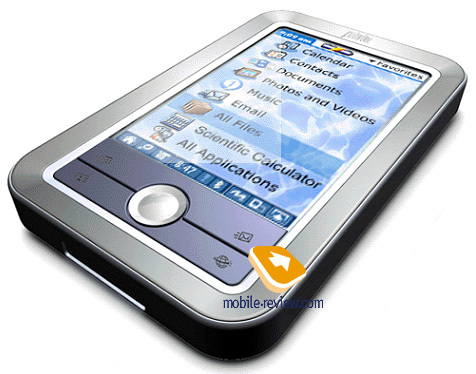 Palm Tungsten E2 is expected on the market just after the announcement and Live Drive will appear only in May. After the primary demand has been satisfied the price for Palm Tungsten E2 will form $250 (when the start price will be $320). The elder model is positioned above Palm Tungsten T5 and will cost more - $550-570. Now about each model in details. 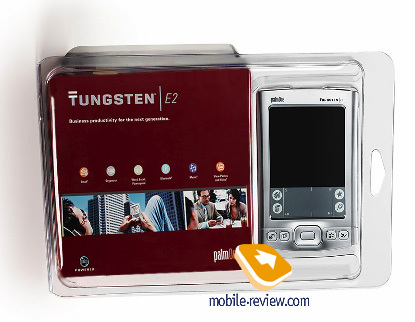 Palm Tungsten E2 is a long expected for substitute of the Tungsten E. Considering the photos the appearance of the model has not changed. The dimensions are practically the same (114x78x15 mm) and the weight is 133 grams. The battery is still non-removable. The appearance of Bluetooth 1.1 is the main innovation of the device. 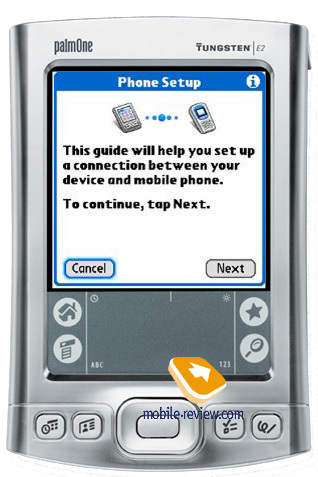 The file system is NVFS (applied in all the PalmOne models starting with Palm Tungsten T5) and that means when the battery is greatly discharged no data is lost. All the data is kept in the flash memory. The screen resolution also remained the same forming 320x320 pixels with only improved colour rendering and behaviour in the sun. Preinstalled programs for creating Word and Excel files are provided. About 26 MB of flash memory are available to a user when the total capacity is 32 MB. The CPU is Intel XScale 200 MHz (that is instead of TI 126 MHz in the first model of the E series). One more significant change we’d like to mention is a standard Multi-connector slot (a standard cradle or a keypad may be plugged into) instead of miniUSB. Operating system is Palm OS 5.4. Here is how the box with the PDA will look like, the kit remained the same. The second model that will be positioned above Palm Tungsten T5 is of more interest, it is more functional. The name is most likely to be the following - Palm Live Drive (the commercial index might be different). The main emphasis is laid on the integrated hard drive capacious of 4 GB. Files may be uploaded using USB connection (the integrated hard drive is available as a usual drive with no drivers installation necessary), it is of the second version here. The second point is -Fi 802.11b support (naturally, there is Bluetooth version 1.1 here). 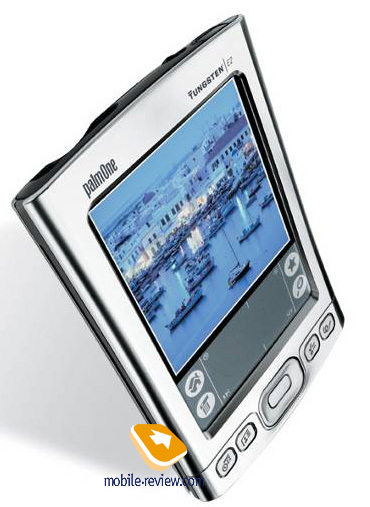 The screen is the same as in Palm Tungsten T5 with the resolution of 320x480 pixels. There is a 5D joystick, integrated microphone and a separate dictaphone button. The CPU is Intel XScale PXA270 416 MHz, 32 MB of RAM, Palm OS 5.4. 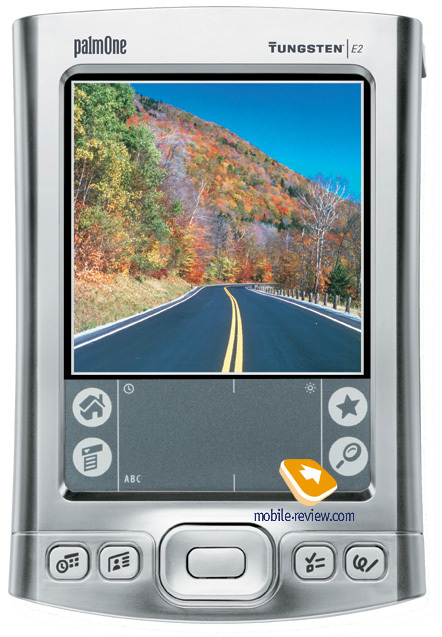 And if the specs of Palm Tungsten E2 were quite up to our expectations and nothing principally new appeared, then the second model is interesting and we are looking forward to seeing it in our laboratory.